E3 2017 is in the books, and our contributors have a lot on their minds. Welcome to Day Two of Scholarly Gamers’ E3 2017 Postmortem! Today, we’re hearing from Tom Gregg, Jay Rankin, and Tim Smith! I liked a lot of what E3 had to offer piecemeal, but overall there was no “winning” show, unless we count Devolver’s 15 minute sketch about E3 conferences. Microsoft honestly surprised me with a $499 price tag for the Xbox One X, it’s not surprising that they’re supposedly selling it at a loss. That name kills me though. They had precedent with the “Elite” naming scheme and even referred to it as an “Elite” device before it’s price was announced, not going with Xbox One Elite or something better is baffling. Combine that with no games announced that couldn’t also be played on PC, and they essentially had a more exciting PC press conference than the actual PC press conference, plus a cool piece of hardware that they couldn’t figure out how to market properly, or who to sell it to. Sony was going to play it safe this year, all their new hardware is on the market, and all they needed to show was games. Too bad they didn’t show anything too unexpected, my guess is that they’re saving some for the PSX event in December, where they can play on their own terms and won’t be showing their wares back to back with their competitors. I was pleasantly surprised by their insistence to show PSVR games, though. Sony has a bad habit of letting neat new hardware die without proper support, so I like that we’re still seeing some VR games. Nintendo did what they needed to; by the end of their show they had announced an exclusive for practically every month of 2017, and had some future games (Metroid Prime 4 and Pokémon, I’m looking at you) to start building hype for. I’ll be honest, I didn’t watch the EA presser. I watched the trailers after the fact, and it was pretty much what I expected: Star Wars, sports, and Need for Speed. However, A Way Out looks intriguing to say the least, a mandatory co-op game could either go really well or really terribly. I’m intrigued. Bethesda was continuing their current market approach of not announcing anything more than eight months out from release. This has worked for them since Fallout 4, but it also doesn’t lead to any really exciting news. I’m also unsure about Fallout 4 and Skyrim becoming perpetual sources of income, The Elder Scrolls VI is still a thing I’d love to see in my lifetime. 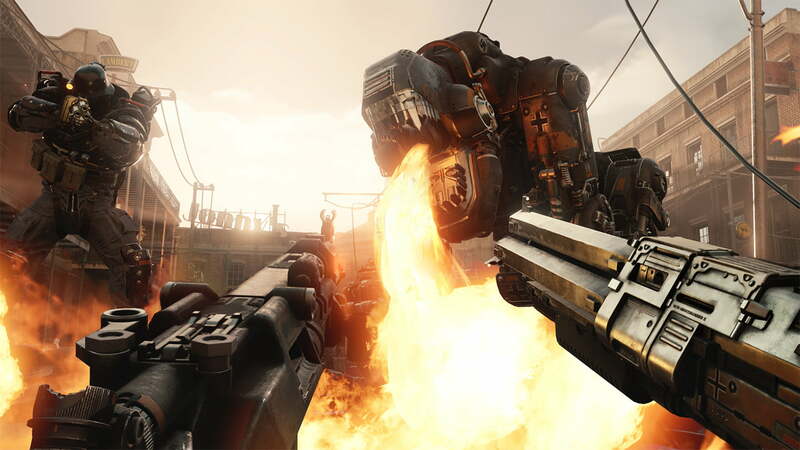 Wolfenstein 2 looks like a lot of fun though, and I’ll have to try Doom VR, though I have worries about how the speed will carry over to true first-person view. With Ubisoft, there was a lot of talk of “heart,” “art,” and “craft.” While some of that rang true, I still can’t help but feel part of that was to rally the troops (so to speak) in what looks like the approaching hostile takeover by Vivendi. That being said, games like Skull and Bones look to build off of what everyone wanted out of Black Flag. The big star of their show was Beyond Good and Evil 2, and while I was a huge fan of the original, there’s no real genuine excitement for the sequel. The game isn’t a sequel to the original, but rather a prequel, and one that may be completely different in terms of mechanics. The setting looks cool, but again, I can’t help but see this as a last-ditch effort before a very possible attempt at a hostile takeover, and if Vivendi does take majority share of Ubisoft, I think BG&E2 is as good as cancelled. Maybe I’m just cynical and jaded, though. I really didn’t bother to watch much, because in the age of the Internet, massive, several-day press conferences like this seem sort of outdated, which is what E3 and most of the stuff put forward in it seem to be. Here’s my quick breakdown of what caught my interest. Xbox: It’s pretty neat that Project Scorpio is now in the open as Xbox One X. And though it seems to kick the PS4 Pro out of the park in terms of specs, it really doesn’t matter. The only difference between a console and a PC is that a console has a very limited OS, but also has a few games locked exclusively to its OS. In the PS4 versus Xbox war, at least in terms of exclusive content, Sony has long won the fight in terms of having heavy-hitting titles. Plus, they have the advantage in an extremely popular IP; Sony locked down extreme, time-exclusive content in Destiny. Sony: Nothing really caught my eye here. I was really hoping for some juicy details on The Last of Us 2. I do really like that they’re pushing VR, despite the fact that I won’t buy into the headset for the system, as I much prefer the freedom of VR on PC. What Sony has done, though, is made one of the most affordable forms of VR gaming as the headset and console together cost around $1000 less than a PC and headset capable of VR. Pushing more content means more consumer interest, which will hopefully push for more affordable options of VR on the future for people who don’t have a ton of expendable income to throw around. Nintendo: I’m still mad at Nintendo for dropping the Nintendo Classic Edition. EA: That was a really interesting reveal of Anthem. This signals a massive shift in the Canadian company, which has generally stuck to single-player RPG experiences for the past two decades. Now, they’re doing a multiplayer shoot-em-up game which seems to have a ton in common with Destiny. Not a surprise, however, as they’ve been pushing more and more multiplayer focus into their games since the EA acquisition. Everything else: Nothing too special. Same old, same old. 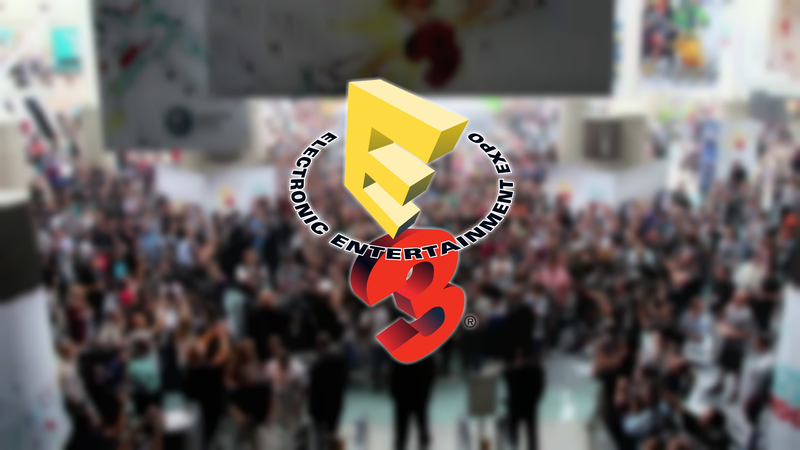 This isn’t the first time I’ve paid great attention to E3, but it is the first time I tried to look at E3 through the lens of a gaming website contributor, and not that of a raging fanboy. Microsoft has earned my blind allegiance since the release of the original Xbox. When it comes to the Xbox One X, I’m not sure if they intended for this name to exhibit the raw power of their new machine or to be a meme generator, because it certainly became the latter. I watched their presentation next to the man who would predict exactly how it would go, Scholarly Gamers’ own Grant Patterson. It was there in that moment that I saw the fanboy in me begin to die. I had waited for some time to witness the official unveiling of Project Scorpio and not only did they give it the laziest/dumbest name ever, they rolled it out with Forza because it’s Microsoft. While the sleight of hand with the shiny racecar on stage and the amazing weather graphics may have fooled some, for the first time, I was not one of them. As the timed exclusives began to roll, I came to a stark realization about the Xbox One X; it was that shiny, powerful supercar without any tracks to drive it on. The prohibitive price point of $499 has already relegated this system to a status symbol in the Xbox community, not the must-have hardware release MS wants it to be. Sony had a beautiful theater for their presentation and they used it in the most traditional way possible, which meant showing an hour-long movie about their games. I get it, Sony. Your games are what have given you clear dominance in this round of the console wars. With the unveiling of the One X, Sony treated hardware as if it had smallpox. They went for straight software demos to middling results. While many are titles were from franchises we’ve played before (Uncharted, God of War), others were reprises of old material (Shadow of the Colossus, Monster Hunter). We also saw Days Gone, which looked interesting, but we have seen this IP before last year. You know what we didn’t see from Sony? Release dates. It would’ve been nice to know when the gaming world could actually get their hands on some of these titles. Nintendo predictably showcased a beautiful-looking Super Mario Odyssey for the Switch. They also got a lot of credit for showcasing the number 4 on a black screen. While I love Metroid as much as the next guy, it’s time for Nintendo to showcase why I really need to buy their hardware other than Game of the Year front-runner Breath of the Wild. If they are going to tout a console as the solution for “on the go” gamers, than I need to see some support other than 1.) it works on your TV, and 2.) in your hands! Dragon Ball FighterZ? Looking for a slot in the computer to take my money now. Wolfenstein II: The New Colossus looks like a great marriage between the Homefront games and the Amazon series The Man in the High Castle. Color me intrigued. Also, is Capcom making Marvel vs. Capcom Infinite in claymation? 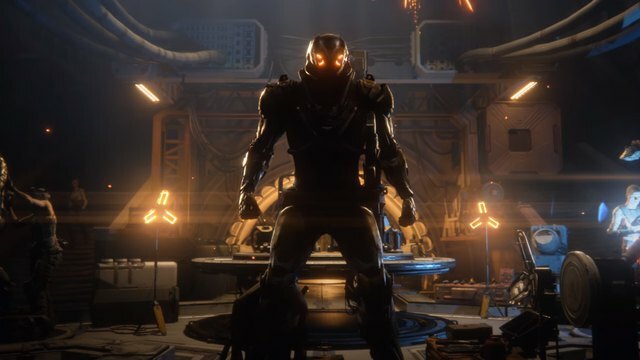 Anthem is another gorgeous game I saw with great promise, but I only saw a tiny bit of what they want to show me. I’ll need more details before we declare this the third-person Destiny killer. The new Assassins Creed: Origins looks compelling from a story standpoint (I’m always a sucker for ancient Egypt). Skull & Bones looks like a great pirate-only successor to AC: Black Flag, but it was a little disappointing to see absolutely no Year 2 plans or sequel talk on The Division, and I’m really hoping Ubisoft doesn’t let the game just die on the vine. All in all, I was pretty underwhelmed about the entirety of E3. Despite seeing the “Most Powerful Console Ever” be introduced, I don’t really think we saw anything super innovative or industry-changing.